Here, though, it's an amazing 84 degrees and cloudy and I don't even need a granita, but they're just so fun to eat, that I couldn't resist. Cube the melon and purèe in a blender. Add the sugar to the warm water and stir until dissolved, add to the melon mixture. Add in the lemon juice and blend. Pour into a metal pan or bowl and freeze. 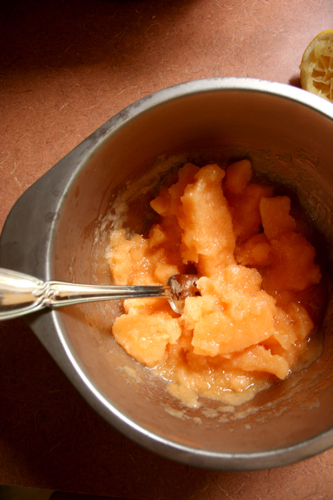 Every 30 minutes or so, stir the mixture up with a fork so the ice doesn’t harden in a block, but rather as crystals. 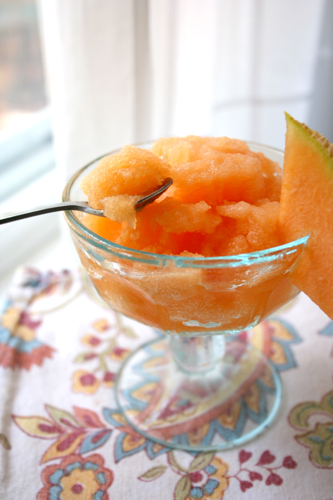 After about 2 hours it will be at a slushy consistency, serve immediately with more melon to garnish. I love this. As a person who needs dessert multiple times a day, it totally hits the spot after lunch (and snacks and dinner.) 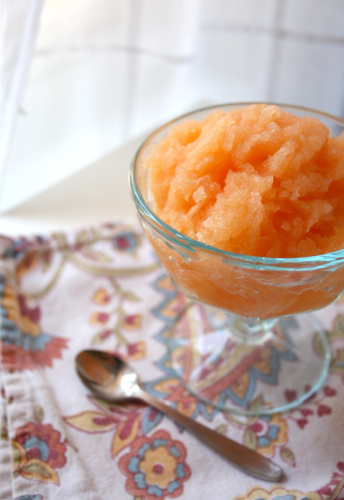 Plus, you can substitute practically any summery fruit. 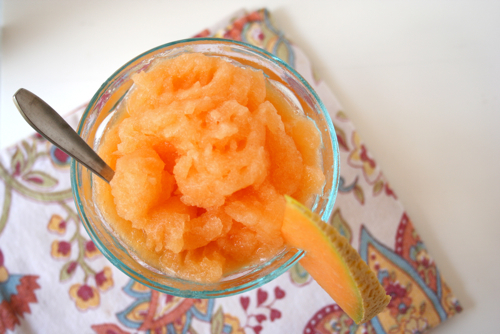 Happy granita-ing! P.S. 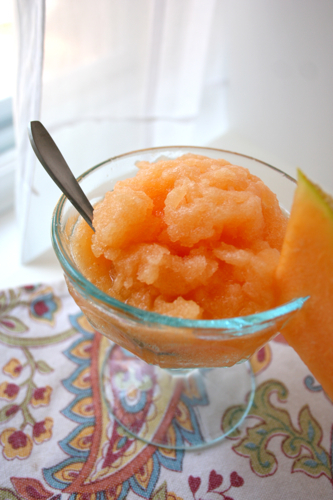 For another fun melon recipe, try this melon agua fresca.